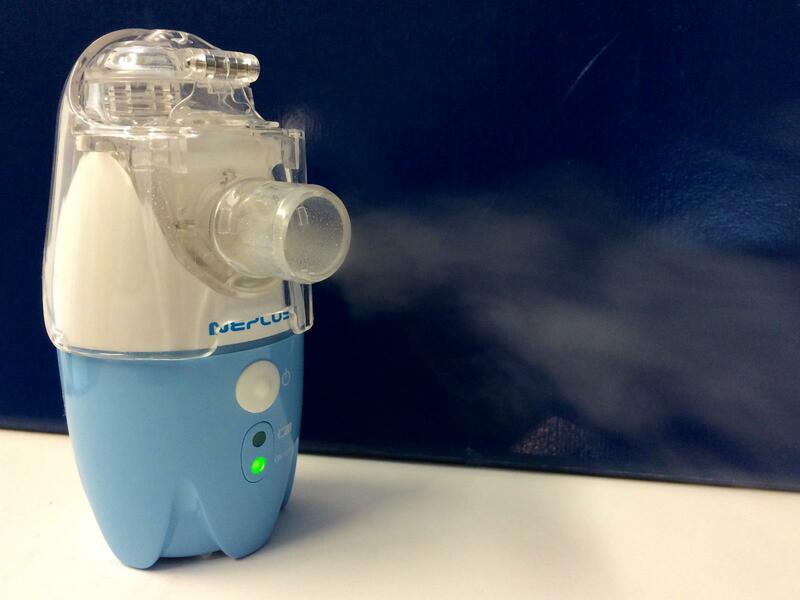 NePlus®, the world’s most efficient nebulizer utilizing Ultrasonic Mesh Technology. NePlus® effectively and efficiently delivers solution medications for patients suffering from asthma, COPD, emphysema, bronchitis or other respiratory conditions. 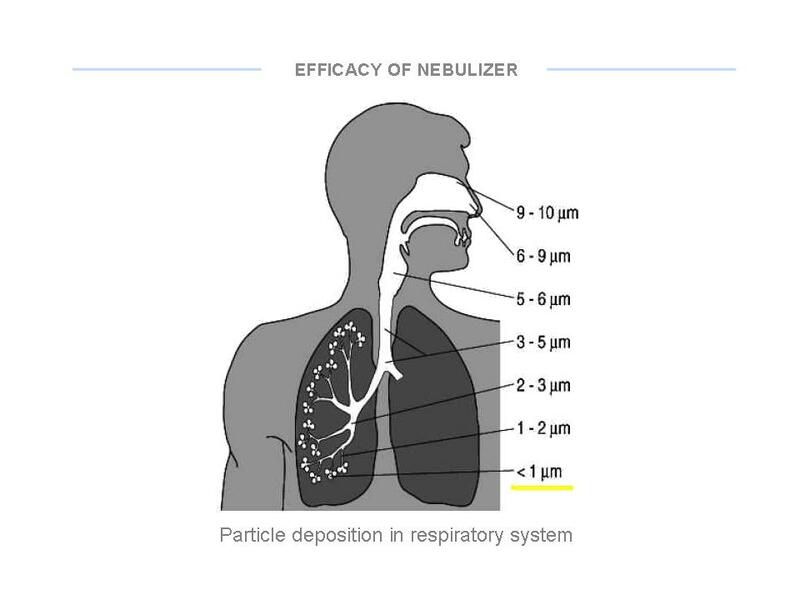 Patients appreciate the small product size and powerful delivery that is more convenient than the table-top compressor nebulizers.NePlus® provides respiratory relief wherever you go. 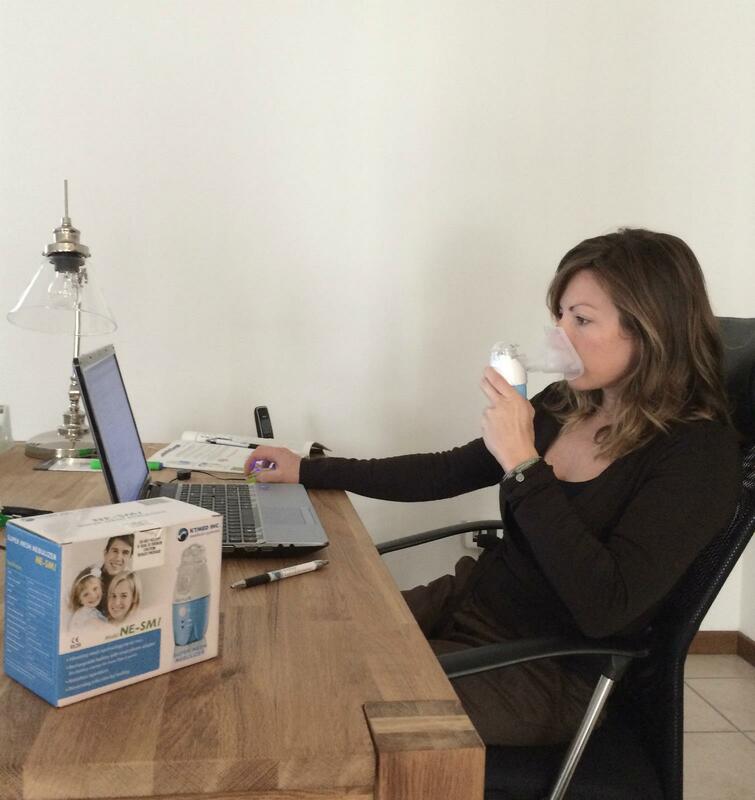 Portable Super Mesh Ultrasonic Nebulizer or respirator that sprays liquid medication into lung as aerosols. NePlus® combines practicality with efficiency in a unique colorful design, making NePlus® perfect for infants, children and adults alike. Tubeless, light-weight, and cordless operation provides unmatched portability and ease of use. 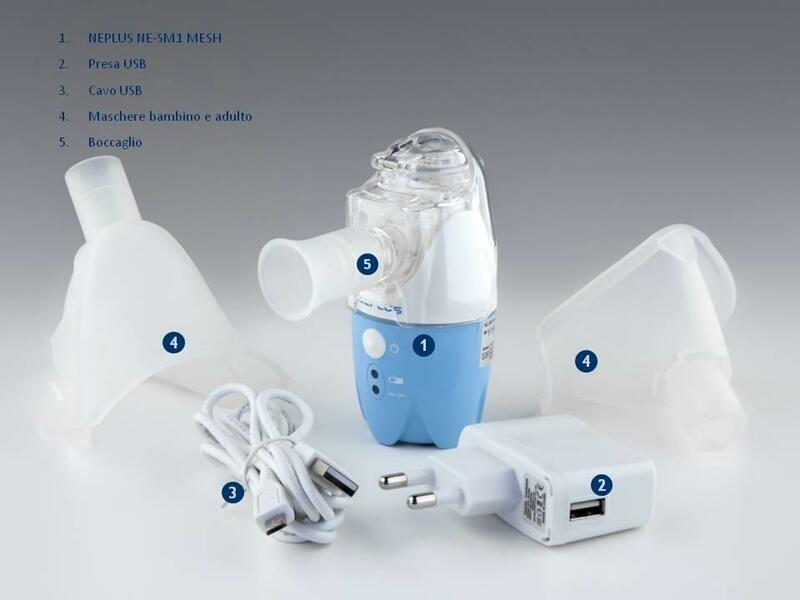 User friendly features such as compact size, quiet and low power consumption makes NePlus® a completely flexible nebulizer that can be taken almost anywhere. 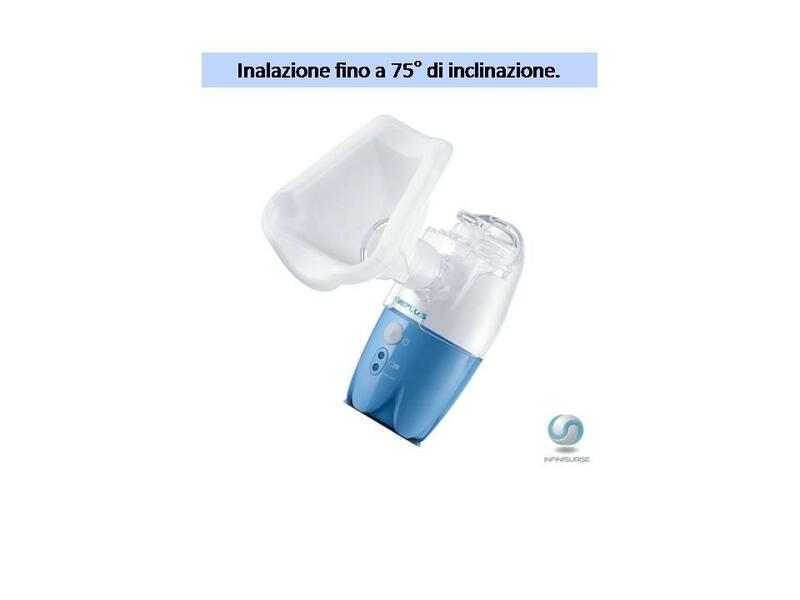 With its innovative super mesh technology that produces stable and fine medication particles which deposit deeply inside the respiratory tract to achieve effective treatment of asthma and other respiratory ailments. 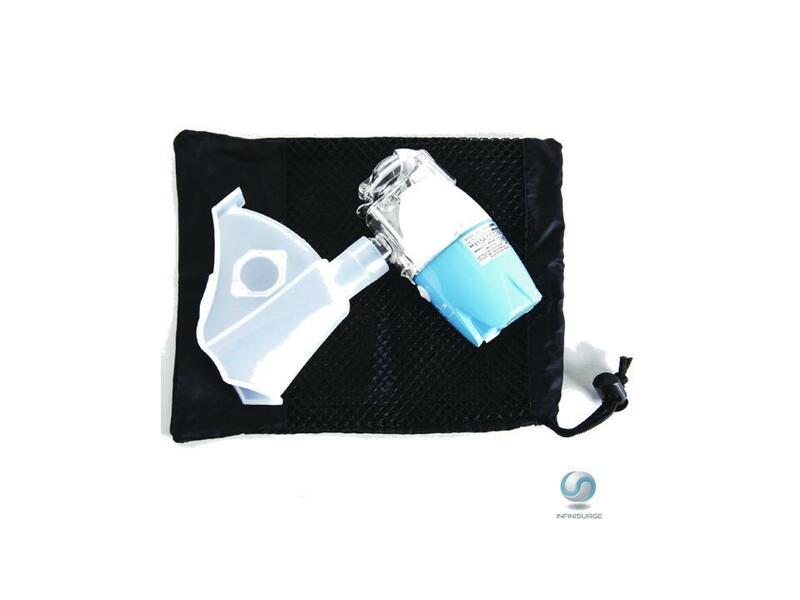 This is just the right equipment for your medications to treat emphysema, bronchitis, asthma, COPD or other lung illness. 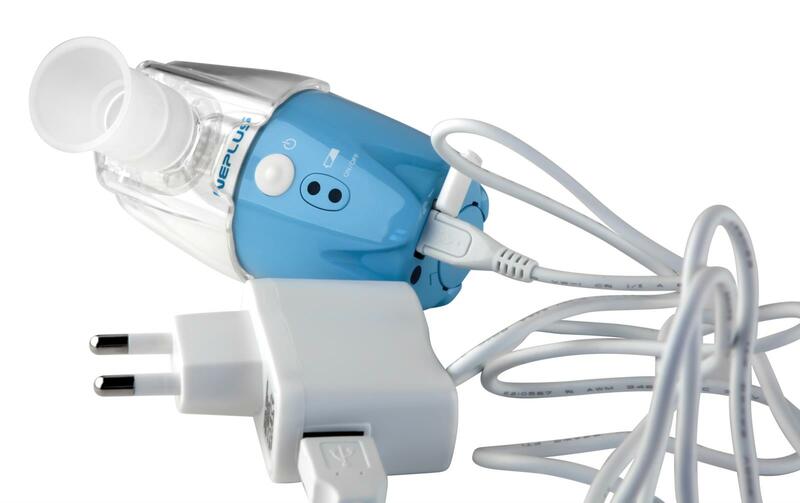 NePlus® produces cool mists which come on instantly, therefore allowing more efficient and effective drug delivery which makes a NePlus® a convenient alternative to Metered Dose Inhalers (MDI). It operates in an inclined position making it suitable for bedbound patients. Even for undiluted medication or thick and sticky medication such as Pulmicort®, NePlus® can convert the liquid to useful fine mist without braking or damaging the medication. You can use either distilled or normal saline water with physician-prescribed medication to create an effective high frequency mist. Delivers most solution medications, including Albuterol®, Alupent®, Brokosol®, Combivent®, DuoNeb®, Intal®, Isuprel®, Pulmicort Respules®, Proventil®, Ventolin®, Xopenex®. 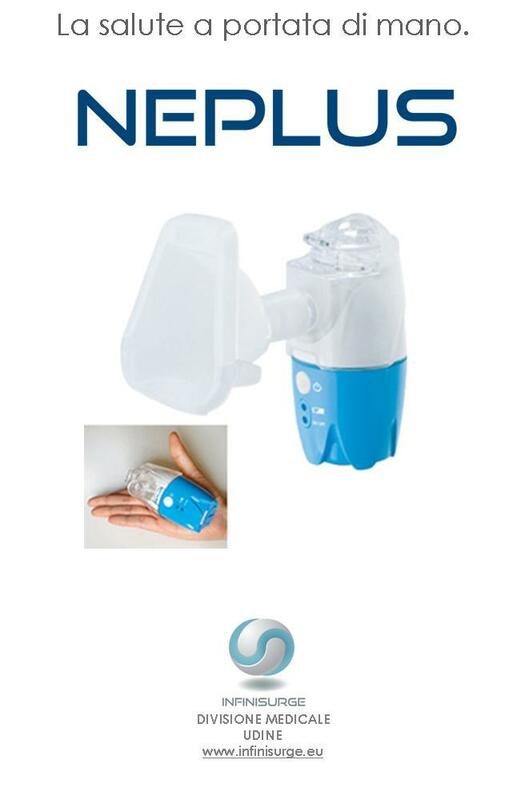 Very minimum residue of medication, low power consumption and auto power off function makes NePlus® very economic nebulizer. No need to replace the filter and medicine cups, which can save a lot of cost on the replacement parts. NePlus® is equipped with highly efficient and safe battery that can be recharged over 500 times. 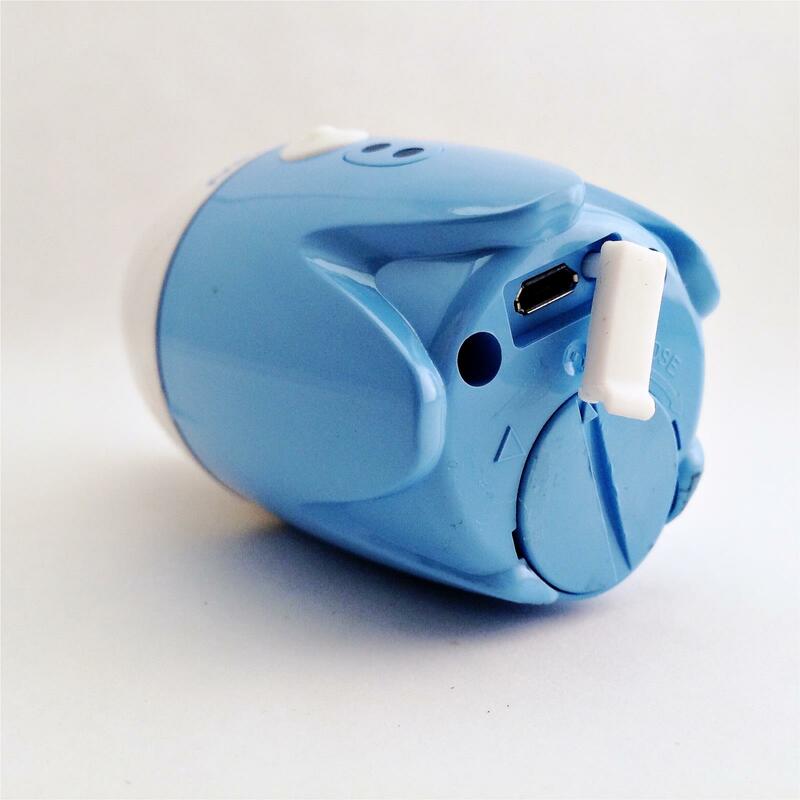 Save you the cost of the ordinary batteries. 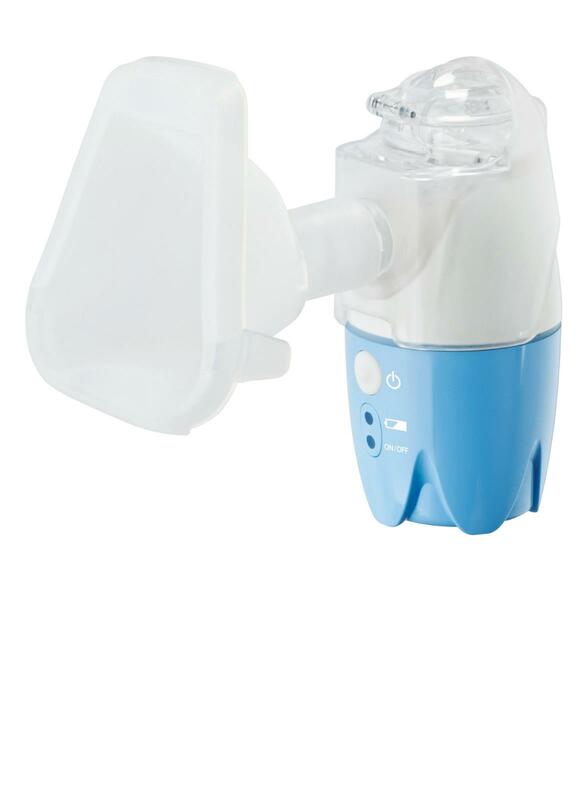 Say goodbye to your old, bulky and noisy nebulizer machine and hello to this brand new ultra-efficient portable nebulizer unit (NePlus®). The inalation is possible even at 75° of tilt angle. 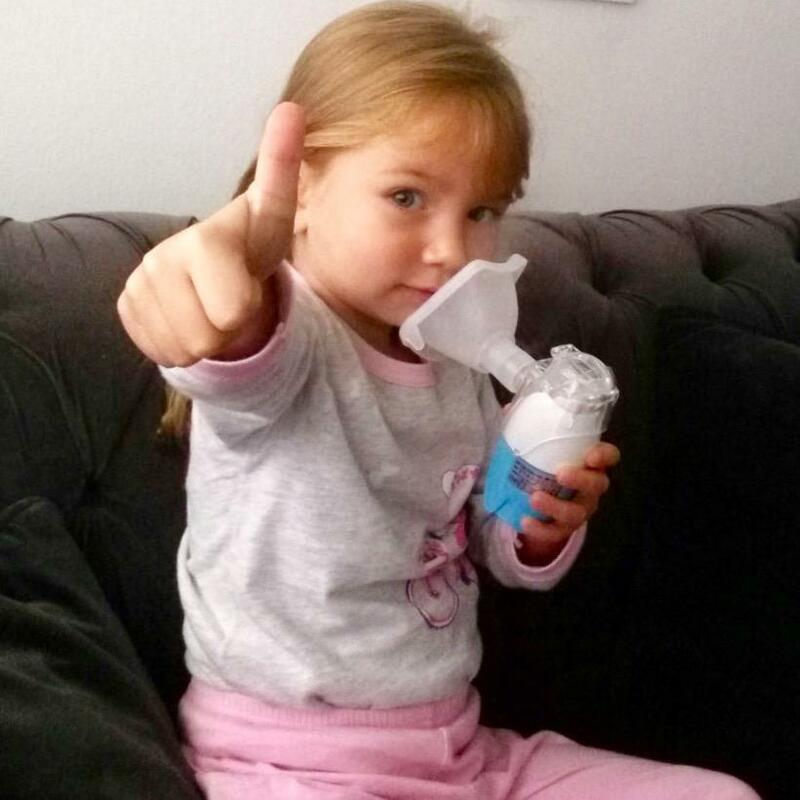 NePlus® is convenient to use and carry because of very small size and noiseless technology.